Breath-taking natural wonders, amazing cultural festivals, exciting trips to the night markets, delicious food famous for satisfying the choosy palates of many gastronomes, and hospitable, ever-smiling people - all these are Taiwan, the new travel destination you shouldn't miss. In Taiwan, there are stories around every corner. Stories behind the famous Lantern Festival and its many glittering lights. Stories behind the colourful ceremonial pilgrimage made by the goddess Mazu. Stories behind the hundreds of Buddhas at the serene Foguanhshan. Every trip to Taiwan is a new story full of great experiences. What are you waiting for? Australian passports valid for more than six months are eligible for 30 days free entrance into Taiwan without a visa. If you need to stay for more than 30 days or your passport is due to expire within six months, please apply for a visa through the Taipei Economic and Cultural Office in Australia. Other types of visas are available. You should contact the Bureau of Consular Affairs, Ministry of Foreign Affairs and the Bureau of Immigration, Ministry of the Interior for details. One of the highlights of a visit to Taiwan is her people and whilst English is increasingly spoken, away from cities, Chinese, Taiwanese regional and ethnic dialects rule. The basic Gwoyu (Mandarin) is the most widely spoken version of Chinese, which is the national language in Taiwan, but it's also worth bringing a phrasebook along with you. Click here to print the list of some useful phrases to use in Taiwan, that Taiwan Holidays have prepared for you. In Taiwan, there is usually a lot of rain in May to June so it is advisable to travel with an umbrella. Summer is very humid and hot with temperatures in the high 30s. Bring light summer suits and plenty of shirts (preferably cotton). Earthquakes may occur and if you are caught in one, the safest place to stand is within a doorway. If you are outside, stand well away from power lines and building frontage where signs and objects can fall. If in doubt, stay still as fallen power lines can electrify other fallen material. Typhoons may also strike, usually in the rainy season (July to September). For more weather details in Taiwan, please visit the World Meteorological Organization . At Chiang Kai-Shek International Airport in Taipei, taxis are readily available outside the terminal and cost approximately $100 for the one-hour trip to the central business district. Public bus is cheaper and costs about $15. Major hotels offer airport transfers for around $150. 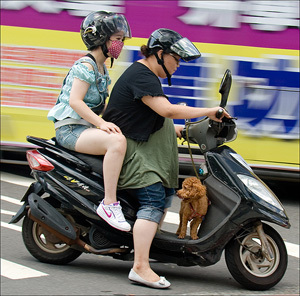 There are a number of options for transport in and around Taipei and country areas. 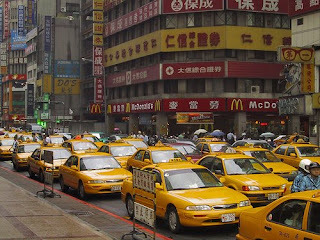 Within Taipei City the taxi fare can be up to $15. Travel into the country from Taipei City is more expensive and can be up to $15-$30. 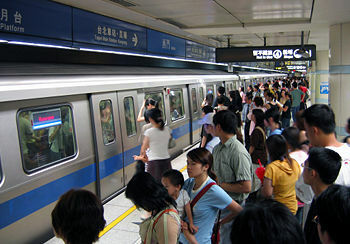 The Mass Rapid Transit is an efficient train network but only available in Taipei. 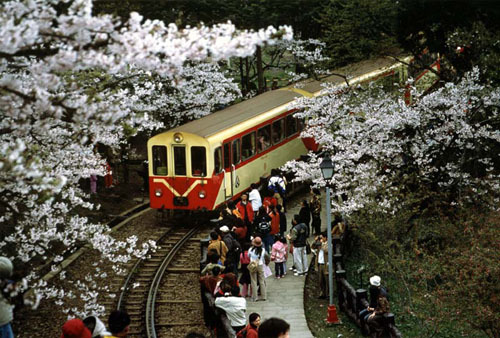 There is a train that circles the island with good service and a range of travel classes. Car hire is also available and internal licenses issued by the Motor Vehicle Supervision Department are valid for three to six months. There are numerous car rental companies including: Sun Ta Car (Taipei), CARPLUS (Taiwan). Taxi transport to business meetings is convenient and cheap. Avoid the up-market hotels as there are plenty of mid-range cost hotels all over Taiwan with prices from A$110–A$220 per night. The Department of Foreign Affairs and Trade (DFAT) provides information and advice for business travelers and tourist going to Taiwan. This is regularly updated, and should be checked before planning travel. When visiting busy and crowded places such as night markets, you should pay extra attention to securing handbags and personal belonging to avoid pick pockets. Use ATMs located inside banks or on a busy street. You should treat your business security interests with the same care and diligence that you do in Australia. Take steps to ensure the protection of your intellectual property rights, such as patent, design and trademark by registering with the Chinese Taipei Intellectual Property Office. Also ensure any business contracts are reviewed and authenticated by a legal consultant to avoid trade dispute. There is no compulsory vaccination required before coming to Taiwan. Taiwan is free from yellow fever, meningococcal, cholera, and malaria. Consult your doctor for advice prior to travel or contact Health Services Australia who may recommend a hepatitis injection. Do not drink tap water and avoid eating food from food stands. There is no need to tip in Taiwan as a service charge is incorporated in the bill. Taiwan is two hours behind Australian Eastern Standard Time. To find out the current time in Taipei, view the World Clock . Taiwan's country code is 886. Major credit cards are accepted in Taipei. Southern Taiwan (ie. Kaohsiung) is still a cash economy, so it is necessary to carry the equivalent of A$500-A$1000 in your wallet - this is generally a safe practice. Taiwan has a modern banking system and there are ATMs accepting foreign cards in all major settlements, You are able to withdraw local currency if you have "Cirrus" on your Australian bank cards. Taiwan is certainly less expensive than Europe, North America or Australia, but isn't as cheap as China or the Philippines. Whilst local produce and favourite can be very cheap, imported items are far from a bargain. To give you some rough idea of prices: 1.5L bottle of water NT$30/AUD$1.3, Street vendor or night market snack NT$25/AUD$1, large bottle of beer: Shop NT$50/AUD$2.10, Bar: NT$120/AUD$5.2. So, it is relatively cheap destination to visit if you have Australian dollars. Taiwan's power supply is 110 volts, 60 Hz 1, 3 phases, 2, 3, 4 wires. The two-pin flat plugs are the most common. Try to eat out of the hotel (where the cost is generally higher) – there are vast numbers of convenience stores and cheaper eateries located all over the major cities with a good range of fast, and healthy, Chinese and Western-style foods. Taiwan is a hot and relaxed country and in the cities you will see similar styles of dress as you might in Australia, Europe, or North America. Taiwan is an island nation of about 36,000 km² located off the coast of southeastern China, southwest of Okinawa and north of the Phillippines. The island is governed by the Republic of China or ROC. Shaped roughly like a sweet potato, the nation is home to more than 23 million people and is one of the most densely populated places in the world. Besides its crowded cities, Taiwan is also known for steep mountains and lush forests. In addition to the island of Taiwan, the Republic of China also governs the Pescadores (Penghu), (Kinmen/Jinmen), and Matsu. 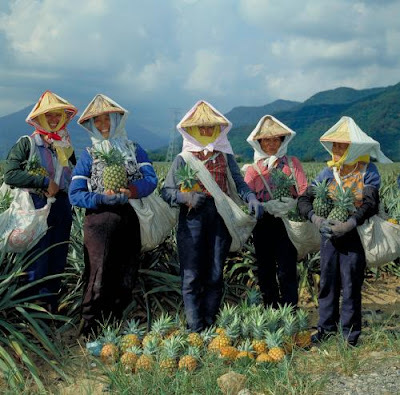 Taiwan has been populated for thousands of years by more than a dozen aboriginal tribes. Written history begins with the partial colonization of Taiwan by the Dutch and then the Spaniards in the early 17th century. (The old name of Taiwan, Formosa, comes from the Portuguese Ilha Formosa for "beautiful island".) Han Chinese immigrants who had trickled in since the end of the Yuan dynasty (1300s) arrived in larger numbers during the domestic turmoil surrounding the decline of the Ming Dynasty. Although controlled by the Dutch, the Ming loyalist Koxinga defeated the Dutch garrisons and set up Taiwan as a rump Ming Empire with the hope of reconquering Qing China. His son surrendered to the Qing in the late 1600s. Although contact between China and Taiwan dates back thousands of years, it was not until larger numbers of Han residents arrived during the Ming and Qing dynasties that Taiwan was formally integrated into China as part of Fujian province. It became a separate province in 1885. Defeated by the Japanese, the Qing Empire ceded Taiwan to Japan under the terms of the treaty of Shimonoseki in 1895. Japan ruled the island until 1945, and exerted profound influences on its development. The island's entertainment and pop culture was and still is heavily influenced by that of Japan. Much of the Japanese-built infrastructure can still be seen on the island today, and has been in fact continuously used up to the present day (e.g. rail-road crossing gates, administrative buildings, and the old port at Kaohsiung). In the early 20th century, the Nationalists (Kuomintang, KMT) and Communists fought a major civil war in China. Although the two sides were briefly united against Japan during World War II, they quickly began fighting again after the war was over. Eventually, the Communists were victorious. The Nationalist government, the remnant of their army, and hundreds of thousands of supporters fled to Taiwan. From Taipei, they continued to assert their right as the sole legitimate government of all China. Initially repressive, the government began to loosen control under the leadership of Chiang Kai-shek's son, Chiang Ching-kuo. Taiwan also experienced rapid economic growth and modernisation under the leadership of Chiang Ching-kuo, becoming one of the world's richest and most modern economies and earning it a place as one of the East Asian Tigers. Taiwan still remains a leader in consumer electronics and is home to well-known computer brands such as Acer, Asus and HTC. Democratization began in earnest through the 1980s and 1990s, culminating with the first direct presidential elections in 1996, and the first peaceful transition of power between two political parties in 2000. Taiwanese politics remain dominated by the issue of relations between Taiwan and the People's Republic of China, which still claims Taiwan as a "renegade province" and regularly threatens military action if Taiwan attempts to break away from the current awkward One China status quo, where both sides agree that there is only one Chinese nation, but disagree on whether that one nation is governed by the PRC or the ROC. To summarize a very complex situation, the Pan-Blue group spearheaded by the KMT supports eventual unification with the mainland, while the Pan-Green group led by the Democratic Progressive Party (DPP) supports eventual independence. The split extends down to trivial issues like Chinese romanization — the KMT prefers the mainland's Hanyu pinyin, the DPP prefers a Taiwan-made variant called Tongyong pinyin — and political demonstrations and rallies, always turbulent, on occasion turn violent. The Minguo calendar, counting years from the establishment of the ROC (1911), is commonly used in Taiwan, so don't be too surprised to find dates like "99-05-03" on tickets or bags of chips — ROC 99 is 2010 AD. To convert a Minguo date to A.D., just add 1911. Months and days are according to the standard Gregorian calendar. This is the most important festival for the Taiwanese and many shops and restaurants close on the first three days so it is not an ideal time to visit. However, the days leading up to the festival as well as the fourth to fifteenth days are ideal for soaking up the atmosphere and listening to Chinese New Year songs. This is when many Taiwanese would pay respects at their ancestors' graves. This festival honours Qu Yuan, a patriotic official from the state of Chu during the Warring States period of Chinese history who committed suicide by jumping into a river when Chu was conquered by Qin. To prevent the fishes from eating his body, villagers threw rice dumplings into the river to feed the fishes and rowed dragon boats with drums being beaten on them to scare away the fishes. Since then, dragon boat racing has been carried out on this day and rice dumplings are also eaten. This festival runs throughout the seventh month of the Chinese calendar. It is believed that the gates of hell open during this period and hungry ghosts are allowed to roam freely into our world. In order to appease the ghosts and prevent misfortune, many Taiwanese will offer food and burn joss paper for them. 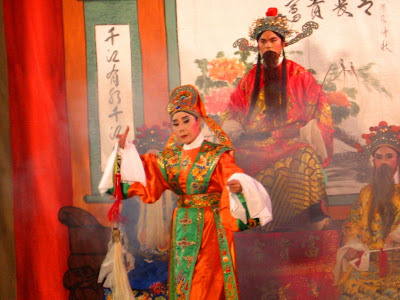 In addition, traditional Chinese performances such as Chinese opera and puppet shows are held to appease these wandering spirits. Legend has it that on this day, a woman known as Chang E swallowed some divine pills to prevent her power hungry husband from becoming immortal. Afraid of being killed by her husband, she fled to the moon and it is believed that the moon shines brightest on this day. This is when many lanterns will be put up for decoration in various parks and shops, which is quite a beautiful sight. Mooncakes are also eaten on this day so it would be an ideal time to try some. Taipei is the seat of government of the Republic of China and its center of commerce and culture. Taipei is home to the world's second tallest skyscraper, Taipei 101. Hsinchu is a center of hi-tech industry, and one of the world's leading manufacturers of hi-tech components. Hsinchu Science Park is the home to many hi-tech companies. Hualien is located near Taroko Gorge, and is considered one of the most pleasant of Taiwan's cities. Jiufen - this former gold mining town located on the northeast coast is now a popular tourist destination. Kaohsiung is the second-largest city on the island. It has one of the busiest sea ports (the Port of Kaohsiung) in the world and it has the island's second-largest airport, Kaohsiung International Airport (KHH). Keelung is the a center of transshipment in the north, and is located about a thirty minute drive from downtown Taipei. Puli is located at the geographical center of the island, and it serves as a good base for exploring the central mountains and Sun Moon Lake. Tainan is the oldest city in Taiwan and was the capital during imperial times. It is famous for its historic buildings and snack food. Sun Moon Lake - nestled at 762 m (2,500 ft) in lofty mountains in Nantou County, this lake is famous for its clear sparkling blue water and picturesque mountain backdrop. Citizens of 31 countries, including the U.S., Canada, Australia, New Zealand, Ireland, and most other EU members and Switzerland, may enter Taiwan visa-free for up to 30 days (90 days for citizens of Japan, Ireland, New Zealand and the UK) provided that their passports do not expire within six months. Residents of Hong Kong and Macau who hold valid SAR passports should apply for an entry permit, which can be done on arrival or online before departure if they were born in their respective territories or have been to Taiwan previously after 1983. From July 2008, holders of mainland Chinese passports may visit Taiwan for tourism if they join an approved guided tour. For further information consult the Bureau of Consular Affairs. Taiwan's main international gateway is Taiwan Taoyuan International Airport near Taipei, with Kaohsiung a distant second and very limited international services to Taichung and Hualien. Taiwan Taoyuan International Airport (formerly Chiang Kai-Shek International Airport ) (TPE) is Taiwan's main international airport. Located 40km to the southwest of Taipei, it has good connections to major Asian cities and North America. The airport has direct buses to Taipei, Taichung and other nearby cities. Alternatively, the U-Bus company operates shuttles to HSR Taoyuan station for high-speed train connections to Hsinchu, Taichung, Chiayi, Tainan, and Kaohsiung; and to Jhongli Transit Station, for mainline TRA (Taiwan Railways Administration) train and southbound bus connections to Tainan, Hsinchu etc. Hualien Airport (HUN) serves domestic flights as well as some international charter flights to Japan, South Korea (ROK) and Macau. It is also one of the airports designated to serve cross-strait direct flights. The main Taiwanese carriers are China Airlines and EVA Air. China Airlines have recently (28-03-2010) started a direct flight from LHR to Taipei. As of 2008, all scheduled passenger ferry services between Taiwan and Japan have been suspended. Star Cruises operates limited cruise services from Keelung and Kaohsiung to Hong Kong and various Japanese islands. Taiwan's main domestic carriers are Mandarin Airlines, a China Airlines subsidiary; UNI Air, controlled by EVA; and TransAsia Airways. Flights are frequent, and it is usually unnecessary to book flights in advance. Taipei and Kaohsiung have regular services and links to most other domestic airports; however, it may not be possible to fly from one domestic airport to another. The popularity of the high-speed train has drastically cut flights on the once popular west coast sectors, with eg. Taipei-Kaohsiung flights only a shadow of what they once were. If you want to visit Taiwan's smaller islands, the plane is still the best option, and is the only practical option of travelling to Penghu, Kinmen or Matsu. Fares are not too expensive, and local planes are very good. The domestic airport in Taipei is Song Shan Airport, which is in the north of the Taipei and easily reached by Taxi. Domestic destinations include Kaohsiung, Tainan, Chiayi, Taichung, Pingtung, Taitung, Hualien, Makung (Penghu / Pescadores), Kinmen, Hengchun, Nangan and Beigan. 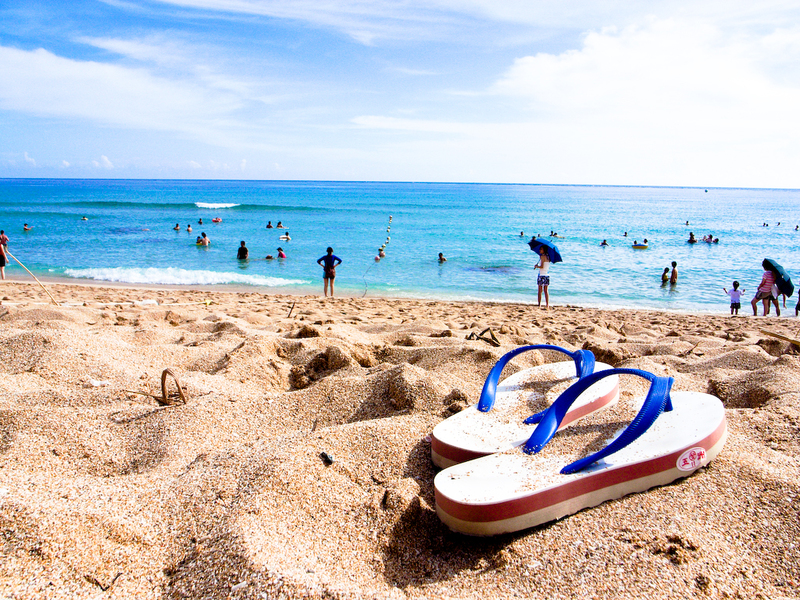 Travelers heading to Kenting can avail themselves of the direct and frequent bus service from Kaohsiung airport that connect with flights arriving from Taipei. The new train backbone is Taiwan High Speed Rail (HSR, é«?é?µ gÄ?otiÄ? ), a bullet train based on Japanese Shinkansen technology that covers the 345 km (215 mi) route on the West Coast from Taipei to Zuoying (Kaohsiung) in 90 min. Other stops on the route are Banqiao, Taoyuan, Hsinchu, Taichung, Chiayi and Tainan, but note that many THSR stations have been built a fair distance from the cities they serve (e.g. a taxi from downtown Tainan costs up to NT$400, but there's a free shuttle bus). A one way ticket from Taipei to Kaohsiung costs NT$1,490 in economy or NT$2,440 in business class, but economy seats have plush seats and ample legroom, so there's little reason to pay extra. All signage and announcements are in English as well, making navigation a snap. Bookings are accepted online and via phone up to two weeks in advance at +886-2-6626-8000 (English spoken), with payment required only when you pick up the tickets. Credit cards are accepted. Bookings can be easily made by internet, and you can pay online or pay and pick up your tickets at almost every Familymart and 7-11. Mainline trains are run by the separate Taiwan Railway Administration (TRA), whose services are generally efficient and reliable. Reserving tickets well in advance is recommended when traveling with the train on weekends, especially for long distance travel. Slower (but more frequent) commuter trains without reserved seating are also available. Train timetables and online booking (up to 2 weeks in advance) are available on the TRA website; however, the online services only work between 8AM and 9PM or thereabouts and there is a small charge, $7, for online bookings. Note that booking online only establishes a reservation as there is no Internet payment option. You must pay for the tickets you reserved at your local train station or post office to actually receive it. Children under 115 cm (45 in) height go free, and taller kids shorter than 145 cm (57 in) and under 12 years of age get half-price tickets. If you get return tickets there is a small discount depending upon travel distance. There are also vending machines at the larger stations. Tzu-Chiang (ziqiang): The fastest (and most expensive). Assigned seating. Non-reserved (standing) tickets are also sold at full price. Chu-Kuang (juguang): Second fastest. Assigned seating. Fu-hsing (fuxing): Third fastest. Assigned seating. Non-reserved tickets are sold at 80% of original price. EMU (Electric multiple unit, dianche) and DRC (Diesel railcar): Short to medium distance commuter train, stops at all stations. No assigned seating. Express / Ordinary (putong): Stops at all stations, no air conditioning, most inexpensive. No assigned seating. Some Express trains (the light blue ones running on West Trunk Line) are air-conditioned while others (dark blue ones) are not equipped with air conditioners. For travel to nearby cities, you can travel on electric dianche (commuter trains . These arrive very frequently (about once every ten to fifteen minutes). In addition, "standing tickets" may be purchased on trains with assigned seating that have no available seats. Standing tickets are 80% the original ticket price and may be useful for last minute travelers. The downside is, of course, that you will be required to stand during your entire trip. Intercity buses are called keyun, as opposed to gongche which run within the county and city. Buses run by private companies are generally more luxurious (often boasting wide, soft seats, foot-rests and individual video screens) than those run by government-owned companies. Still, even the government-owned buses are comfortable, punctual, and maintain clean facilities on board. In Taiwan you need to hail the bus you want as you see it coming - much like hailing a taxi. 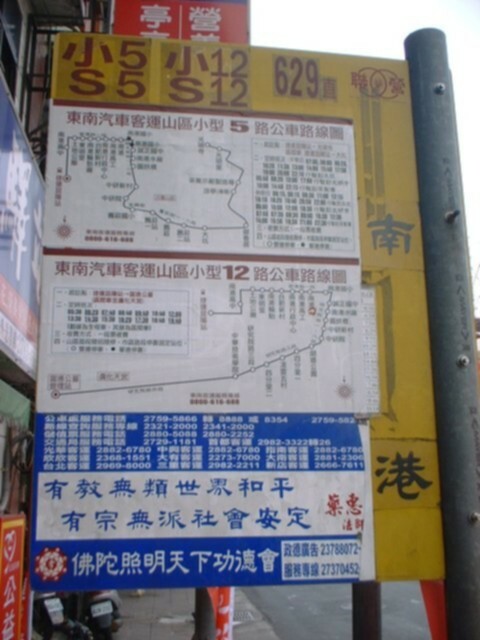 Both end points of the route are listed on the front of the bus in Chinese and sometimes English, so it is important to make sure the bus you get on is going the right direction. In Taipei, you sometimes pay getting on the bus and sometimes getting off (whether with cash or the ubiquitous Easy Card). As you get into the bus there will be an illuminated sign opposite you. If the first character is ä¸? pay as you get in, if it is ä¸? pay as you get out (or just watch the other people). Taipei has an excellent, fairly comprehensive subway system called the MRT that makes traveling around the city a snap, and Kaohsiung's metro finally opened in March 2008. Prepaid travel cards such as the EasyCard in Taipei for bus and metro travel are available at metro stations. EasyCards are read via proximity sensors so you do not need to remove the card from your wallet or purse. The MRT is very clean as there is no eating, drinking, or smoking inside of the stations or subway trains. There is also a special waiting area that is monitored by security camera for those who are concerned about security late at night. The highways of Taiwan are lined with brightly lit booths staffed by attractive, skimpily dressed girls, but they're not plying the world's oldest trade; instead, they're betel nut beauties, who compete for the attention of customers to sell the mildly addictive stimulant betel nut, not themselves. The trade has prompted much moral hand-wringing and sale by scantily clad girls is banned in Taipei and a handful of other counties - mostly out of fears of a negative international reputation or more practically the fear of traffic accidents and congestion from rubber-necking. Nonetheless, the practice is still going strong in much of the country, and Binlang is available everywhere from small roadside shops and stalls. Binlang itself is worth a try and there is a chance you will be offered it in the company of farmers or working-class Taiwanese. Be warned - it stains your teeth blood red. To consume it, bite and spit off the cap at the top of the nut, then chew the rest of the bundle. Only the first mouthfull of siliva must be spit and afterwards one can either choose to spit or swallow and enjoy the buzz. One sampling on your trip shouldn't be a problem, but do keep in mind that this little treat is habit-forming and cancer-causing for long-term "users." Although taxi drivers in Taiwan tend to be more honest than in many other countries, not all are trustworthy. An indirect trip might cost you half again as much. A cab driver using night-time rates during the daytime will cost you 30% more (make sure he presses the large button on the left on his meter before 11PM). Avoid the especially overzealous drivers who congregate at the exits of train stations. Also, stand your ground and insist on paying meter price only if any driving on mountain roads is involved - some drivers like to tack on surcharges or use night-time rates if driving to places like Wenshan or Wulai. Such attempts to cheat are against the law. Scooters with an engine size of 50cc require a license to drive, and should be insured and registered in the owner's name. Foreign nationals with stay less than 30 days do not have a easy way to get a scooter license. Until 2003 it wasn't possible to get a scooter above 150cc. Many of the scooters within cities are only 50cc and incapable of going faster than 80 km/h (50 mph). The more powerful versions known as zhongxing (heavy format) scooters are now quite common and can be rented for short-term use, or found for sale used at English In Taiwan if you're going to need it for a while. They are not allowed on freeways even if they are capable of going faster than 100 km/h (62 mph) unless used for certain police purposes, but that just means you have to take the scenic route. It should be possible to rent a scooter by the day, week or month, depending on the city in which you're staying. In Taipei, as of September 2008, the only place legally renting scooters and motorbikes to foreigners is the Bikefarm, which is run by a very friendly and helpful English guy called Jeremy. In Taichung, Foreigner Assistance Services In Taiwan F.A.S.T offers a rental service for foreign visitors. Otherwise, scooters are generally easy to rent in most major cities, with many such places being conveniently located near railway or bus stations. Most usually require some form of identification even if, in some cases, it consists of your expired Blockbuster video card! The average price you may expect is $400 for 24 hours, this includes one or two helmets. While known for being a major player in the bicycle industry (through companies such as Giant and Meridia), until fairly recently, bicycles in Taiwan were considered an unwanted reminder of less prosperous times. Thankfully, this has changed in the Twenty-First Century. Bicycling is again on the rise, both as a tool for commuting and recreation, and support infrastructure is slowly being put into place. Several bike paths have been built, and recreational cycling has become quite popular amongst locals, especially on weekends. However, you should also be aware that local drivers have a well deserved reputation for recklessness. As such, you should exercise extreme caution when cycling outside of designated bicycle lanes and trails. In recent years, the government has been promoting bicycling as a method of clean recreation. Several designated bicycle paths have been built throughout Taiwan (especially along riverside parks). Additionally, long distance rides, including through the Central Mountain Range, and along the coastline around the main island have become popular. For long distance trips, bicycles can be shipped as is using standard freight service from the Taiwan Railway Administration between larger stations. A price table is available at: (Chinese language only). Non-folding bicycles may also be transported aboard the Taipei and Kaohsiung rapid transit systems if loaded at specific stations, during off peak hours (usually 10AM-4PM on weekdays, check with your local station personnel to confirm). Giant Bicycles Corporation operates a large network of bicycle retail stores that offer rentals for as little as NT $100 per day, if requested one week in advance. Public shared bicycles are also available for rent at automated kiosks in Taipei's Hsinyi District, and in Kaohsiung. Rental fees in Taipei may be paid using the rapid transit EasyCard system, but require a deposit paid via credit card. The Romanization of Chinese used in Taiwan is not standardized. Most older place names and personal names are derived from a bastardized version of Wade-Giles. Though the national government mandated the controversial and oft-maligned Tongyong Pinyin system in 2002, local governments are free to override the order. Some local governments, such as that of Taipei City, have converted their street signs to Hanyu Pinyin (officially, the national government mandates it after another change in policy in 2009), which sometimes results in a street sign posted by the city government next to a street sign by the national government having different romanization conventions. For example, Zhongshan, Chungshan, Jungshan and Jhongshan can easily be the same. A mix of Taiwanese (Minnan), Mandarin, Hakka and other Asian languages are spoken on the island, as well as several aboriginal Austronesian languages. Mandarin is the lingua franca, but Taiwanese is spoken by some 70% of the population. 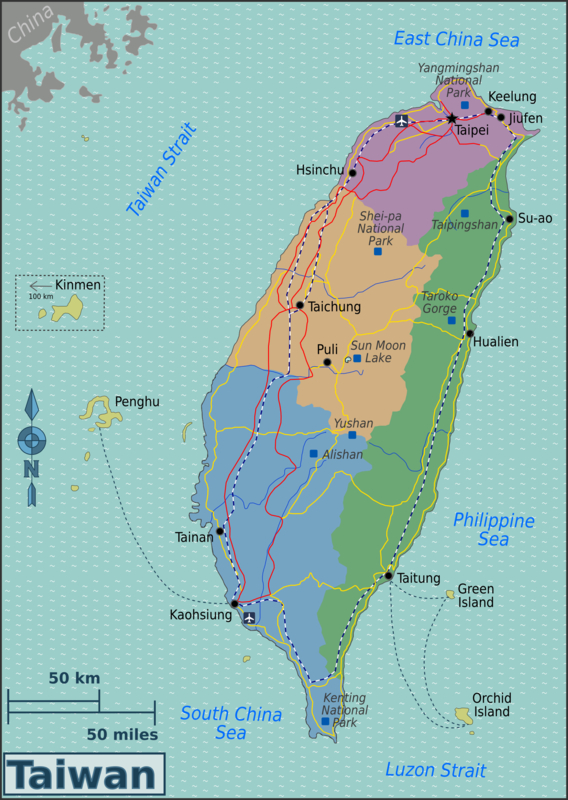 In the North where there is a large concentration of so-called "mainlanders" (those whose families came to Taiwan from China in the mid 20th century), most people speak Mandarin as their primary language (although Taiwanese is spoken in abundance), but in the South of the island, Taiwanese is far more common. Mandarin, Taiwanese and Hakka are all tonal languages, which make them difficult for Westerners to master. On the Matsu islands, the dominant Chinese dialect is Mindong or Eastern Min (also known as Hokchiu or Foochowese), which is also spoken in the area around Fuzhou and the coastal areas of northern Fujian. Especially in Taipei, younger people generally speak a little English. The children often understand more English than their parents, especially with the emphasis on English language education today, and English being a compulsory subject from mid elementary school onwards. However, attempts to speak Mandarin or Taiwanese will be met with beaming smiles and encouragement, by and large. Many people think of Taiwan as a grimy, densely populated industrial island, and you may well maintain this perception if you only stick to the densely populated West Coast. However, for those who take time to venture to the more sparesely populated East Coast will quickly find that Taiwan is actually home to some stunning landscapes. 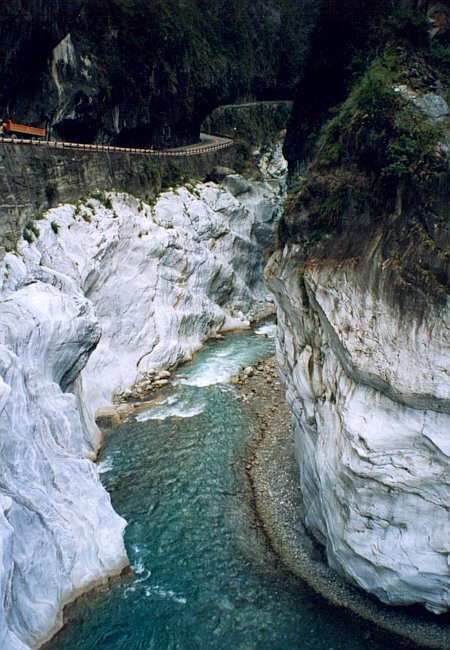 The Taroko Gorge (å¤ªé­¯é?£) near Hualien in particular is very impressive, and should not be missed by any tourists. 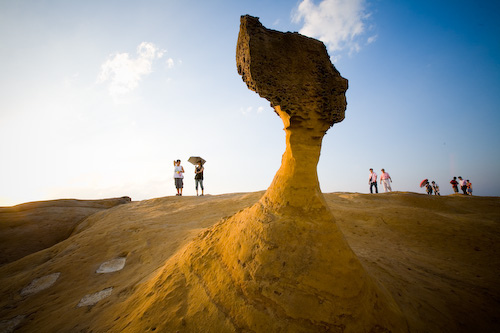 Most of Taiwan is covered with mountains which offer breathtaking views, so hiking opportunities are very diverse. Spring Scream - A three day outdoor rock concert in Kenting held on 5-7 Apr 2007. Tickets $1,400 for all days, all venues. $650 for one day, one venue. Kenting's entire area gets swarmed by young people coming to party for 3 days, and Taiwanese TV heavily reports on the latest Bikini fashions seen on the spot. Buddha's Birthday - Colorful but simple ceremonies are held at Buddhist monasteries that generally consist of washing a statue of the Buddha and a vegetarian feast. It is appropriate to make offerings to the monks and nuns at this time, though it is not mandatory. Lunar Calender 8th day of 4th month. Dragon Boat Festival - A festival to commemorate the death of the Chinese patriotic poet Qu Yuan (born 340 BC), who drowned himself in a river out of despair that his beloved country, Chu, was being plundered by a neighboring country as a result of betrayal by his own people. The festival falls on the 5th day of the 5th lunar month (19 June 2008), and is marked by races of colorful dragon boats at various locations throughout the island. Cherry Blossom Season - Every spring, in Yangmingshan. Hot Springs - Taiwan's geographical location between an oceanic trench and volcanic system makes it an ideal hot springs vacation spot. 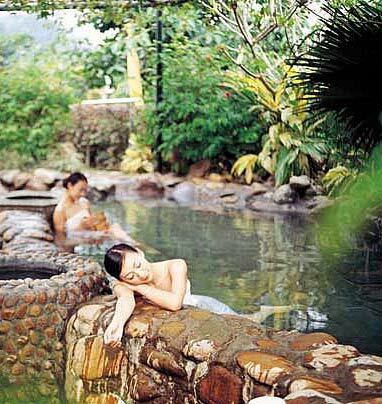 There are several hot springs destinations throughout the country, including Wulai and Yangmingshan. While gambling is technically illegal in Taiwan, mahjong remains popular. The Taiwanese version of the game differs significantly from the better known Cantonese and Japanese versions, most notably because a hand consists of 16 tiles instead of the 13 used in other version. However, it remains mostly a family and friends affair and there are no publicly advertised mahjong parlours. The currency of Taiwan is the New Taiwan Dollar (NTD, but also referred to as TWD), with one unit known locally as NT, yuan when written in Chinese or colloquially in Mandarin as the kuai. All $ prices in this guide are in New Taiwan Dollars. For those who do not like the concept of haggling and fake goods, there are many shopping centres in Taipei where prices are usually fixed and goods are genuine. Otherwise, shopping streets in larger cities like Kaohsiung and Taichung can also easily get you what you want. And of course, there is the trendy Ximending in Taipei, where you can pretty much find anything associated with the youths, also at fixed prices. When bargaining at small stores, please note that the agreed prices are normally cash prices. If you like to use a credit card, the seller normally wants to add anything up to 8% to the price as a "card fee" etc. The fee consists actually of the credit company's commission and also the local sales tax/VAT. Even if you pay cash, you normally don't get an official receipt, as then the seller would have to report & pay their taxes in full. If you ask for a receipt or "fa piao", you will get it but you may need to pay 3-5% more. Computers. Taiwan design and produce a lot of desktop PC, laptop notebook and PC peripheral, etc. So the tourist may visit the major Information Technology market at Taiwan for the best buy item. Desktop computers and components however tend to be the same price in Taiwan as in other areas of the world, though peripherals such as cables and adapters tend to be noticeably cheaper. If you're buying domestic it's best to go to tourist hangouts to buy your stuff as you might be saddled with Chinese documentation otherwise. Also, notebooks are typically only available with a Chinese and English keyboard. Lingzhi. A type of bracket fungus that is often used as a Chinese herb. It supposedly has many health benefits with an apparent absence of side effects, earning it a high reputation in East Asian countries and making it rather expensive. Taiwanese lingzhi is particularly famous for being of the highest quality. Tea. Taiwan is particularly famous for its oolong tea and this is available in at many tea shops. Tea tasting in Chinese culture is akin to wine tasting in Western culture and you will find many grades of this same type of tea, with different methods of treating the tea leaves. 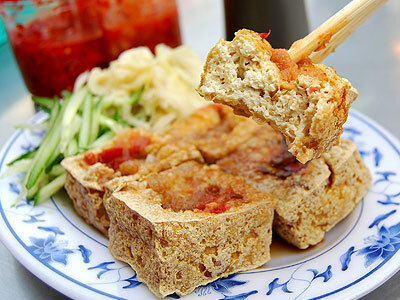 Undoubtedly the most infamous Taiwanese delicacy, stinky tofu is fermented tofu with a strong odor often likened to rotting garbage. It's usually sold only by outdoor stalls, as the smell would overwhelm most restaurants, but if you can hold your nose long enough to eat it, the taste is quite mild — but with distinct earthy overtones that many visitors find off-putting. It's most commonly eaten fried, but for extra Fear Factor points, find some mala hotpot with stinky tofu and gelatinized duck blood. 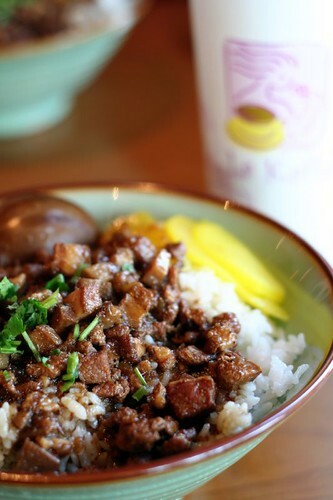 Generally speaking, the foods of Taiwan are derived from mainland Chinese cuisines. It is possible to find Szechuan food, Hunan food, Beifang food, Cantonese food and almost every other Chinese cuisine on the island. Taiwanese renditions of these cuisines tend to be somewhat greasy, though, and completely authentic mainland cuisines are rare. This is especially true for Cantonese cuisine, as demonstrated by the lack of Cantonese speakers on the island. The Taiwanese are also passionately in love with eggs and seafood, as you will discover during your stay on the island. Fruits are another famous part of Taiwanese food. A wide range of fruits can be found at local fruit shops and stations. The subtropical climate allows different fruits to grow nicely. Actually you can find almost every kind of fruits you can think of in Taiwan. Taiwan Sausage, usually made from pork, it is a modified version of the Cantonese laap cheong which has been emulsified and is much sweeter in taste. Unlike laap cheong, which is almost always eaten with rice, Taiwanese xiangchang is usually eaten on its own with some garlic. Taiwanese Orange is a type of citrus fruit which is similar to usual oranges, except that the skin and flesh tend to look more yellowish like lemon. Unlike lemon, it is usually quite sweet. 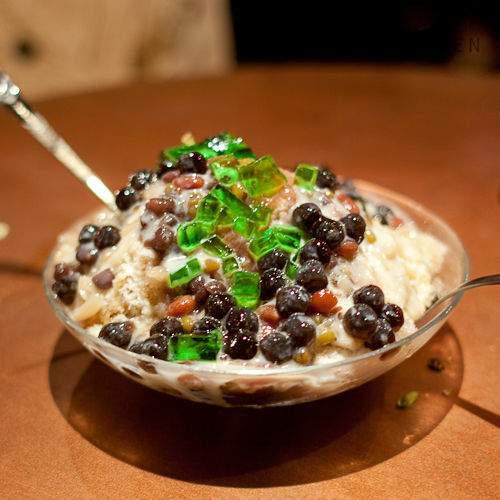 Taiwanese Porridge is rice porridge cooked with sweet potato. 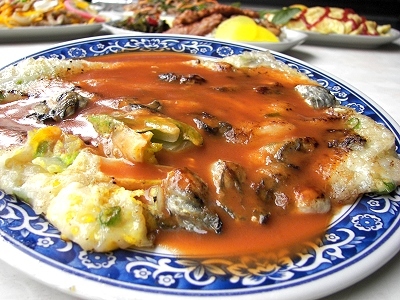 It is usually eaten with several different dishes. 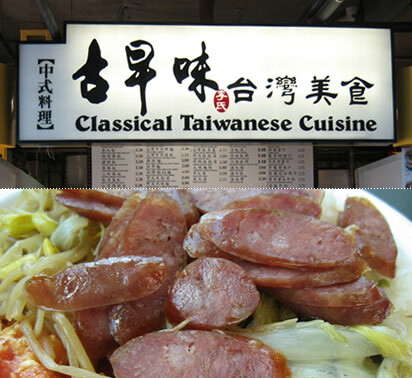 Most cities and towns in Taiwan are famous for special foods because of the Taiwanese passion for food and influences from many different countries. For example, Ilan is famous for its mochi, a sticky rice snack often flavored with sesame, peanuts or other flavorings. Yonghe, a suburb of Taipei, is famous for its freshly made soy milk and breakfast foods. Taichung is famous for its sun cakes, a kind of sweet stuffed pastry and the best place to buy some is arguably Taiyang Tang along Freedom Road, where the pastry was supposedly invented. In Chiayi, it's square cookies, also called cubic pastry, crispy layered cookies cut into squares and sprinkled liberally with sesame seeds. Tainan is particularly famous among the Taiwanese for its abundance of good food and should be a stop for all gourmands. The most famous dish is arguably the coffin bread. Virtually every city has its own famous specialties; many Taiwanese tourists will visit other cities on the island simply to try the local foods and then return home. The Taiwanese love to snack and even many restaurants advertise xiaochi, literally "small eats", the Taiwanese equivalent of Cantonese dim sum. There are also the standard fast food places such as McDonalds (a standard Big Mac Meal costs NT$115), KFC and MOS Burger. In addition there are large numbers of convenience stores (such as 7-11) that sell things like tea eggs, sandwiches, bento boxes and drinks. Night markets are also a good place to try some delicious local Taiwanese fare at attractive prices. Examples would be the Shilin Night Market in Taipei and the Liouho Night Market in Kaohsiung, each of which has its own special dishes not to be missed. As with Chinese cuisine elsewhere, food in Taiwan is generally eaten with chopsticks and served on large plates placed at the center of the table. Unlike in the West, however, a serving spoon might not accompany the dishes, and instead guests will use their own chopsticks to transfer food to their plates. Some people unaccustomed to this way of eating may consider this unhygienic, though it is usually quite safe. However, those who prefer to use a separate utensil for serving have the option of requesting communal chopsticks (gongkuai), and can gently encourage friends to use them if they do not automatically do so. All Mahayana Buddhists, which account for the majority of adherents in Taiwan, aspire to be pure vegetarian in deference to the Buddha's teaching of non-violence and compassion. So, vegetarian restaurants (called su-shi tsan-ting in Mandarin) can be found in abundance all over the island, and they run from cheap buffet style to gourmet and organic. Buffet styled restaurants ( which means "Serve Yourself Restaurant") are common in almost every neighborhood in large cities, and unlike the 'all-you-can-eat' buffets (which charge a set price, usually ranging from $250-350 including dessert and coffee/tea), the cost is estimated by the weight of the food on your plate. Rice (there is usually a choice of brown or white) is charged separately, but soup or cold tea is free and you can refill as many times as you like. $90-$120 will buy you a good sized, nutritious meal. However, if you cannot find a veggie restaurant, don't fret. Taiwanese people are very flexible and most restaurants will be happy to cook you up something to suit your requirements. The following sentences in Mandarin might be helpful: (Wo chi su) - I'm vegetarian, (Wo bu chi rou) - I don't eat meat. However, as Mandarin is a tonal language, you might need to say both, plus practice your acting skills to get yourself understood. Good luck! NB: If a restaurant refuses your order, don't push the issue. The reason will not be an unwillingness to accommodate your request, but because the basic ingredients of their dishes may include chicken broth or pork fat. In most other places in Taiwan it is advised to not drink tap water. In fact, warnings about this can be found in most hotels, particularly the international tourist hotels. Although some Taiwanese do so, even the majority of them prefer to drink boiled water. In some parts of the country (Yunlin County etc.) the water is often filtered to remove sediment and minerals from the ground water prior to boiling. Taiwan's legal age to consume alcohol is 18 years of age. Minors caught drinking can face fines ranging from $10000 to $50000. Traditional alcoholic drinks in Taiwan are very strong. Kaoliang is the most famous alcoholic drink. A distilled grain liquor, it is extremely strong, usually 140 proof or more, and often drunk straight. Taiwan also produces many types of Shaoxing, rice wine, which are considered by many as being some of the best in the world. Taiwanese people enjoy beer on ice. A wide variety of imported beers are available, but the standard is Taiwan Beer, produced by a former government monopoly. It is brewed with fragrant penglai rice in addition to barley giving it a distinctive flavor. Taiwan's specialty teas are High Mountain Oolong (Gao-shan wulong) - a fragrant, light tea, and Tie Guan-yin - a dark, rich brew. Enjoying this tea drank in the traditional way using a very small teapot and tiny cups is a experience you should not miss. This way of taking tea is called lao ren cha - 'old people's tea', and the name is derived from the fact that only the elderly traditionally had the luxury of time to relax and enjoy tea in this way. Check the small print when visiting a traditional tea house though: in addition to the tea itself, you may be charged a cover (literally "tea-water fee") for the elaborate process of preparing it as well as for any nibbles served on the side. One should also try Lei cha a tasty and nourishing Hakka Chinese tea-based beverage consisting of a mix ground tea leaves and grain. Some stores specialize in this product and allows one to grind their own lei cha. Pearl milk tea, "bubble tea" or "boba tea", is milky tea with chewy balls of tapioca added, drunk through an over sized straw. Invented in Taiwan in the early 1980s and a huge Asia-wide craze in the 1990s, it's not quite as popular as it once was but can still be found at nearly every coffee/tea shop. Look for a shop where it is freshly made. Motels can be easily found in suburbs of major cities. Despite the name, these have little if anything to do with the cheap functional hotels that use the name elsewhere; in Taiwan, motels are intended for romantic trysts and can be quite extravagant in decor and facitilies. Many feature enormous baths with massage jets, separate massage showers, marble tiles, and so forth. Suites come with flat screen TVs as well as centrally controlled sound systems. During the daytime, most offer "rests" of a few hours, and indeed check-in times for overnight stays can be as late at 10 PM. Taichung is considered the motel-capital of Taiwan. Some universities in Taiwan have Chinese Promoting Programs that offers Chinese lessons to foreigners who wish to live in Taiwan or to learn Mandarin Chinese as their second or foreign language. The romanisation system taught here nowadays is Hanyu Pinyin, whereas in the past they taught Zhuyin, or BoPoMoFo. The writing system taught is Traditional Chinese. There are many styles of kung fu taught in Taiwan, largely by masters who came here with the Kuomintang in the late 1940's. Styles include Ba Gua, Tai Chi, Wing Chun, Praying Mantis, Shway Shiao and various weapons systems. Many of the students are westerners in these classes, which has led to the rise of several NHB Allegra schools, as well as Ju Jitsu and Aikido from Japan. Taiwan often experiences typhoons during the summer months and early fall, especially on the East Coast. Heavy monsoon rainfall also occurs during the summer. Hikers and mountaineers should be sure to consult weather reports before heading into the mountains. A major hazard following heavy rainfall in the mountains is falling rocks caused by the softening of the earth and there are occasional reports of people being killed or injured by these. Taiwan's wild areas are home to a variety of poisonous snakes, including the bamboo viper, Russel's viper, banded krait, coral snake, Chinese cobra, Taiwan habu, and the so-called "hundred pacer". Precautions against snake bites include making plenty of noise as you hike, wearing long trousers and avoiding overgrown trails. Most snakes are scared of humans, so if you make noise you will give them time to get away. Walking quietly means that you may suddenly startle them around a corner when you appear, and trigger an attack. The Russel's viper, one of the most dangerous snakes in Taiwan, is an exception...it generally prefers to take a stand against threats. Local drivers have a well-deserved reputation for being somewhat reckless. It is possible (even normal) to obtain a driving license in Taiwan without ever having driven on the roads, and this may be a reason (along with the overcrowded roads) why courteous or defensive driving is definitely not the norm. The guiding principles seem to be that the right of way belongs to the larger vehicle, i.e. trucks have the right-of-way over cars, cars over motorcycles, motorcycles over people, etc. Despite traffic's chaotic appearance, it is viscerally intuitive to yield the right-of-way to a much larger vehicle barreling towards you. It is advisable to use slow and smooth movements over quick or sudden ones. Local drivers regularly cut in front of moving traffic into spaces that seem too small, try to change lanes regardless of the fact their destination is already full, etc. Be aware that during busy traffic (i.e. nearly always) two-lane roads will spontaneously become three-lane, an orange light will be interpreted as 'speed up', and the smallest moment's pause in oncoming traffic will result in everybody that's waiting trying to turn across it. Drivers routinely enter a junction when their exit is blocked, and are therefore frequently still there long after the lights change, blocking traffic traveling in other directions. Many motorcycle riders also have a tendency to zip through any space, no matter how tiny. Also be aware that motorcycles often travel through areas typically considered as pedestrian-only spaces, like the night-markets. Taiwanese society is rather polarized by allegiance between supporters of the two major political blocks informally known as "Pan-Blue Coalition" and "Pan-Green Coalition", although there are large numbers of people who are either centrist or who don't care. To simplify a very complex situation, pan-blue supporters tend to be more favorable toward the idea of (re)unification or maintaining a status-quo with China and pan-green supporters tend to be more favorable toward the idea of establishing a formally independent Republic of Taiwan, among other differences. There is even a small group of people who consider Taiwan a part of Japan, due to 50 years of Japanese occupation. Most Taiwanese will get very offended if you imply that Taiwan is part of China while some others will get very offended if you imply that Taiwan is not part of China. Referring to the PRC as "mainland China" rather than simply China will tend not to offend anyone as the term is generally used to exclude Hong Kong and Macau as well, making it less subjective. Referring to the Republic of China as a whole as "Taiwan Province" will draw a negative reaction from most Taiwanese. "Greater China" may be used in certain business contexts. Keep in mind however, that there are so many subtleties and complexities here that if you are talking about these things, you've already wandered into a minefield. Taiwan is quite liberal when it comes to homosexuality, as Taiwan does not have laws against homosexuality. Accordingly, openly displaying your homosexuality in Taiwan almost certainly won't bring any public rebuke. Violence against gays and lesbians rarely occurs. That being said, Taiwan still has some fairly strong male machismo streaks in its society and homosexuality is not quite as open and accepted as in the West or even other Asian countries like Thailand. But the trend seems to be to be more accepting of it as exampled by gay oriented bars/pubs as well as the many entertainers who are known to be gay as well as a transsexual with her own TV show. Mobile phone coverage is generally excellent in Taiwan, with the exception of some remote mountainous areas. Among the major providers are Chunghwa Telecom, Taiwan Mobile, Vibo and Far EasTone. Taiwan has both GSM 900/1800 and 3G (UMTS/W-CDMA) networks and roaming might be possible for users of such mobile phones, subject to agreements between operators. Most payphones work with telephone cards which are available at all convenience stores. As the People's Republic of China (PRC) does not allow other nations to have official diplomatic relations with both itself and the ROC in Taiwan, many of the world's major nations do not have official embassies or consulates in Taiwan. However, as the PRC allows recognition of Taiwan as a separate economy, many nations maintain a "Trade Office", "Institute" or something of similar nature such as American Institute in Taiwan (AIT) or European Economic and Trade Office and these usually perform limited consular activities such as issuing visas. For more information, visit the Ministry of Foreign Affairs web-site.